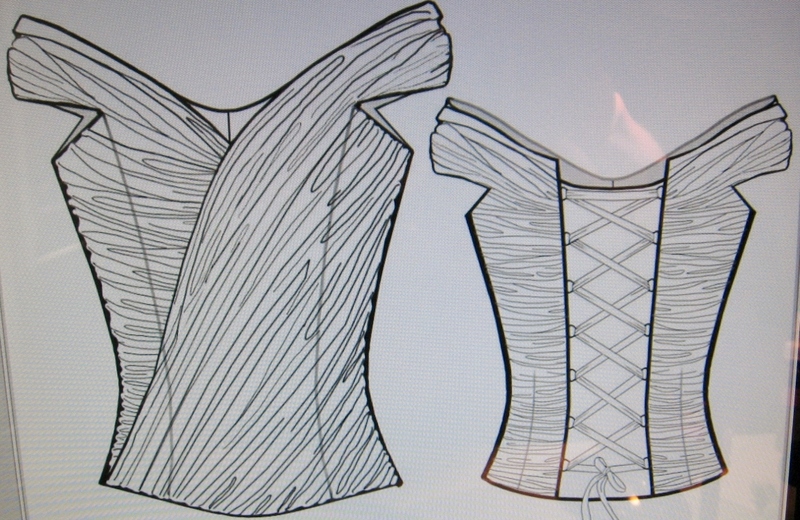 This corset can be made up without the draped outer layer. 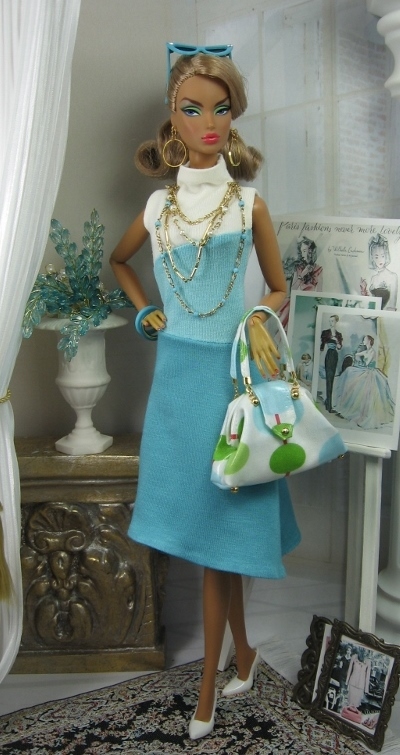 This pattern has 8 files for 12 inch dolls at this time only. 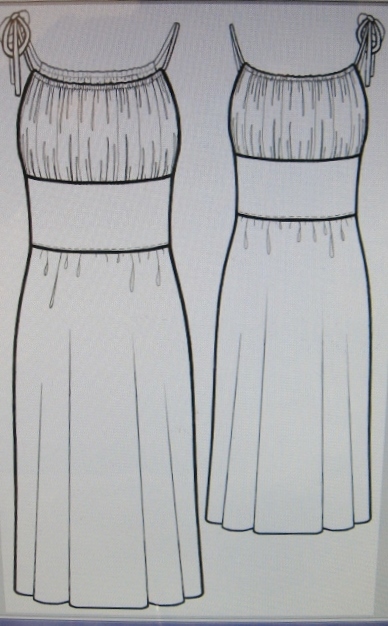 Pretty formal wear using a new pattern called Gathered Dress on my PDF pattern page under dresses. I have used the bodice and midriff sections and the Pleated skirt (found under bottoms) and made it a knee length skirt instead of the intended full skirt. This pattern needs to be adjusted to fit the Silkstone or FR waistline and I opted for a back closure instead of side closure. 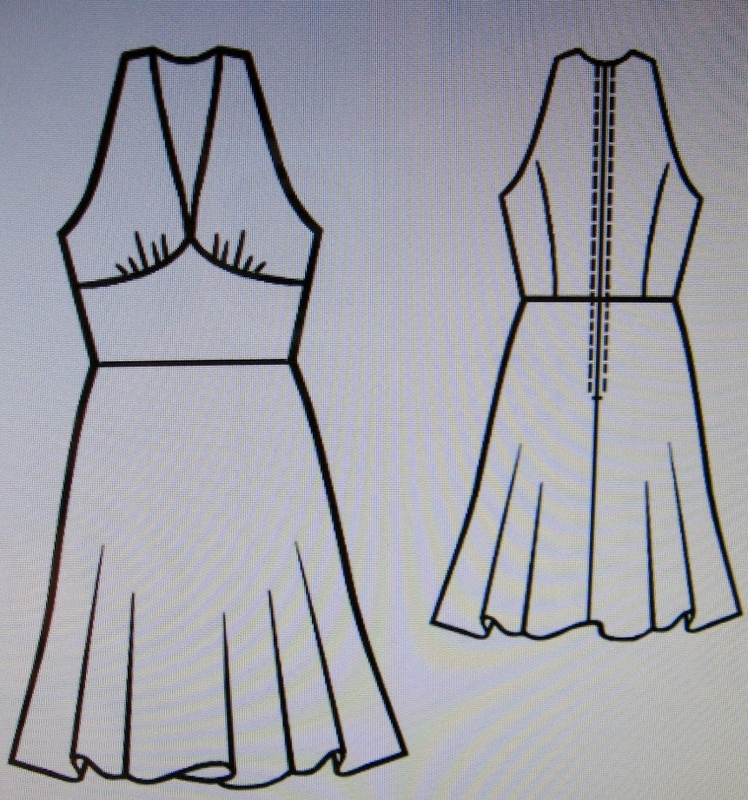 A basic easy pattern that can be lined or unlined and modified and embellished to create many appealing styles. 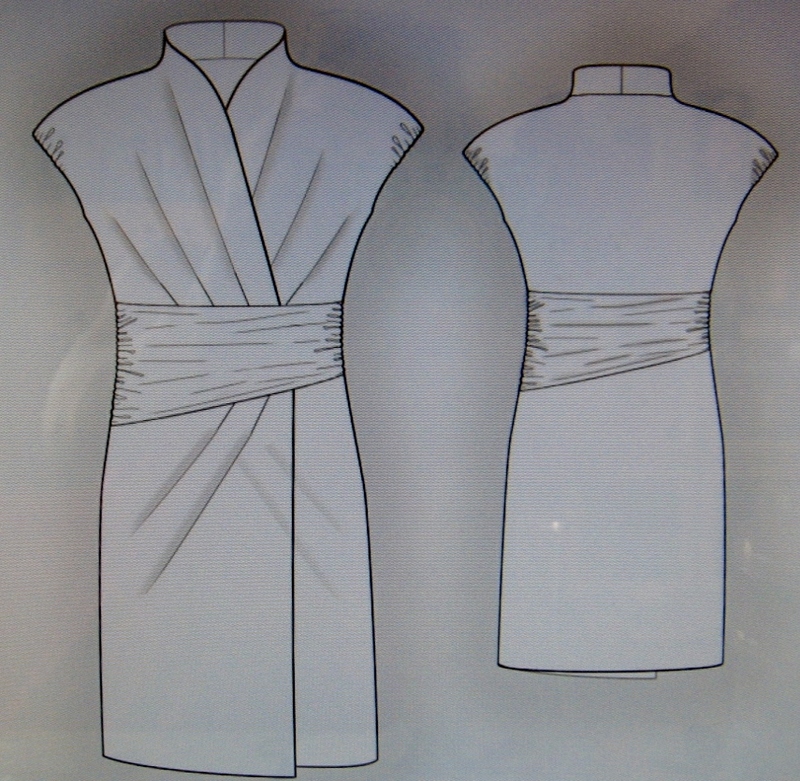 The pattern features a step-in-to ankle length gown with halter style bodice gathered into a midriff placket and straight skirt with front and back dart control. 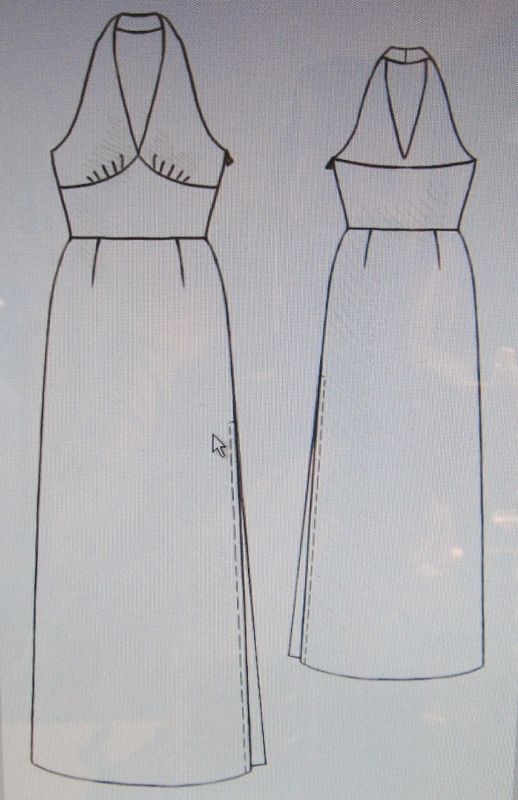 My version is a fine jersey knit for a better drape, I altered the back side edges to fit the Silkstone and Victoire Roux perfectly, chose an S Hook to close the back neck strap and opted for a closed side seam instead of the thigh split. 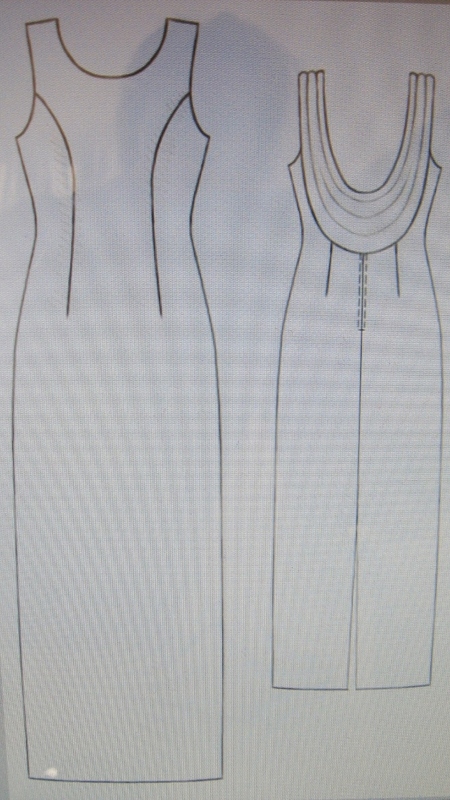 You could adjust the lengths for maxi, midi or use the bodice section with other skirt style, loads of possibilities. 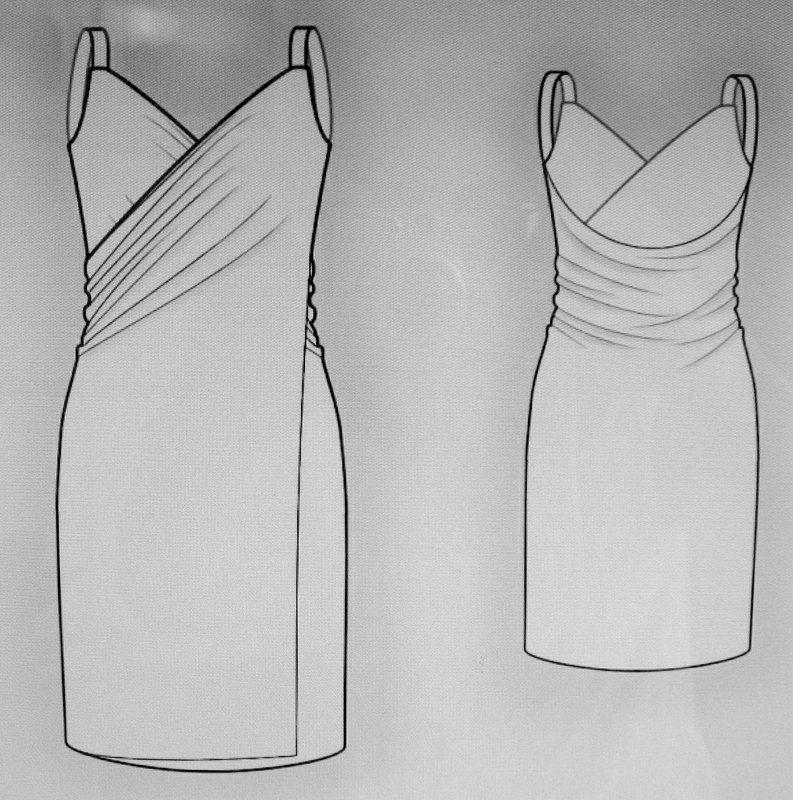 This new pattern features a sleek figure hugging ankle length gown with scoop front neckline, plunging back neckline and cascading back drape from the shoulders. 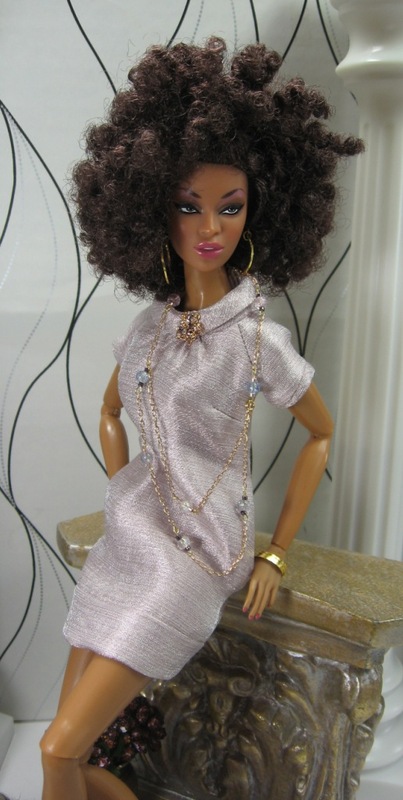 Easy to make with a step-in-to construction for dolls (gown shows a back zipper) and calls for a fine knit that hugs the body and drapes well fitting all the various 12 or 16 inch body types with little or no adjustments. 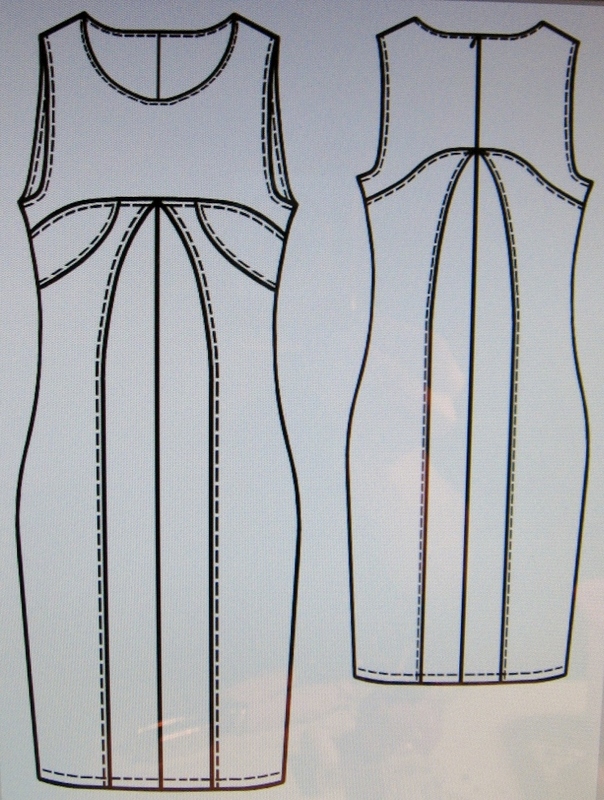 It could be made short or long, or even with a back train, side or back slit etc…My version is cut from an off white jacquard knit, slightly heavier than the fine modal jersey and not quite as stretchy, lending more body to the garment for a better overall result. Three easy to make dress style, orange sari, eggplant tubedress, pink biasbelteddress $8.00 for three 12 inch size only. These versions are fully lined and I altered the ties on orange sari and instead of twisting pink belted added a gold ring. I left the facing off of the eggplant and used a bias cut neck tie. 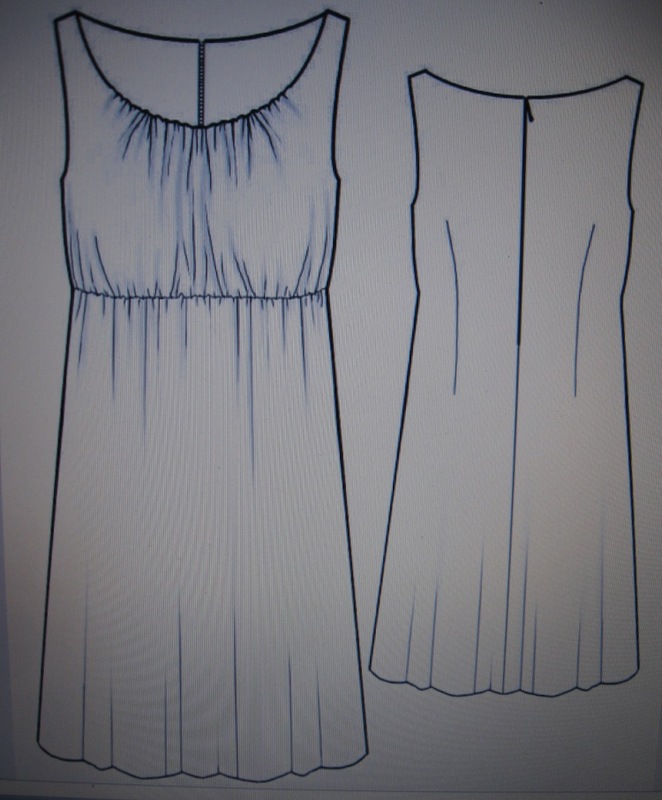 This dress is easy to make, I will show it made up shortly, but I have made it up a few years back and it works great. Knits work best, skimp on your seam allowance for the stretch, but woven fabrics will worn up fine too. 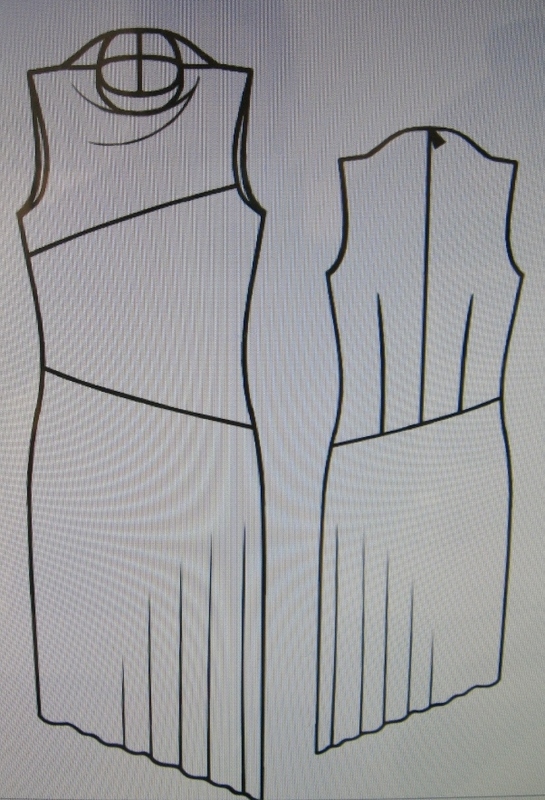 This unique sheath has a sleeveless empire bodice, a front drape panel, is easy to make and line and fits with little or no alteration. 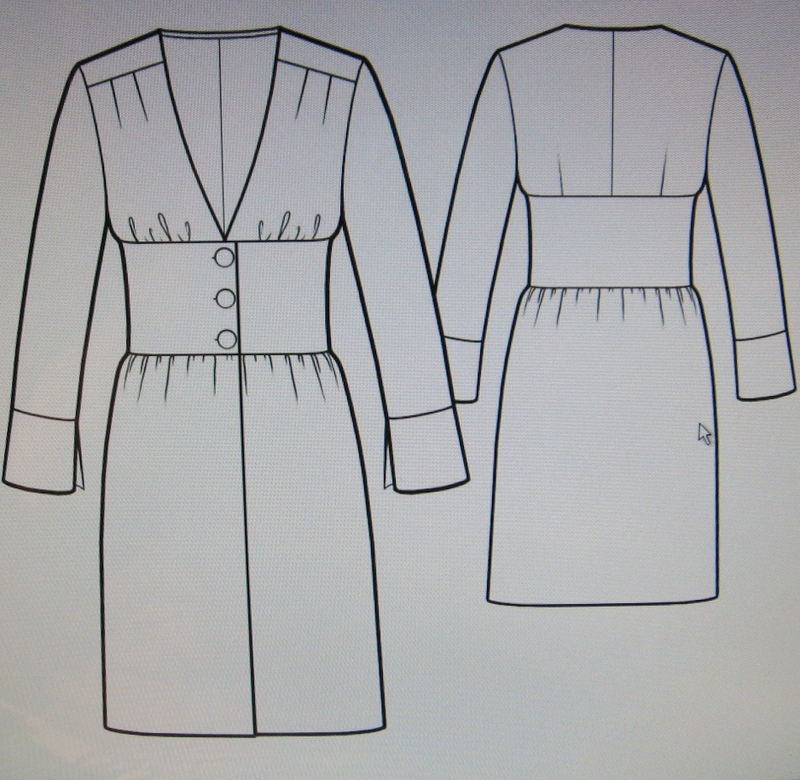 My version has a dressmakers bow added to the front bustline, a placket on one side at the back for snaps and slimmed the bottom of the skirt from the original pattern. 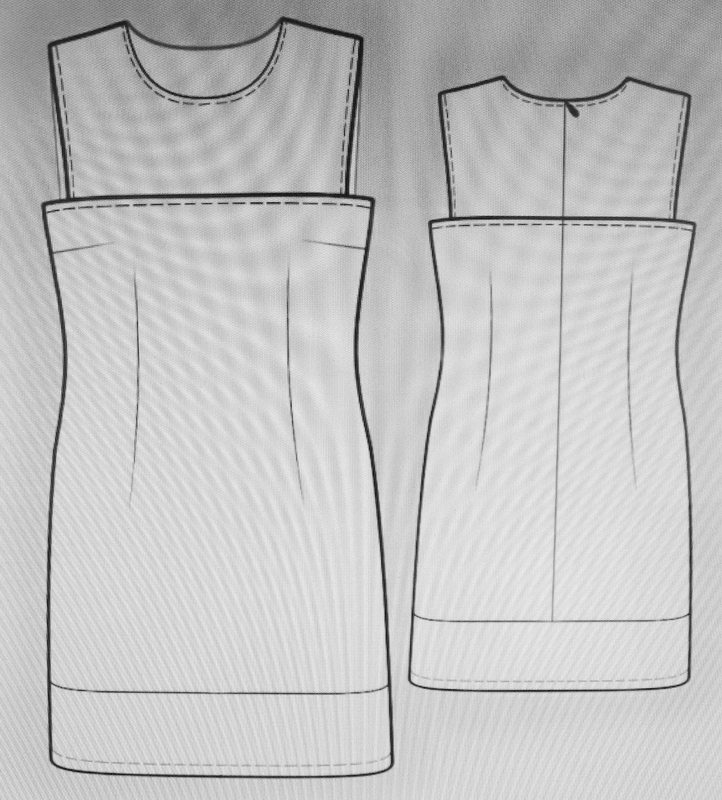 The updated style sheath is easy to make and line, with raglan style cap sleeves and pleated neckline. A matching belt is tied at the waistline. 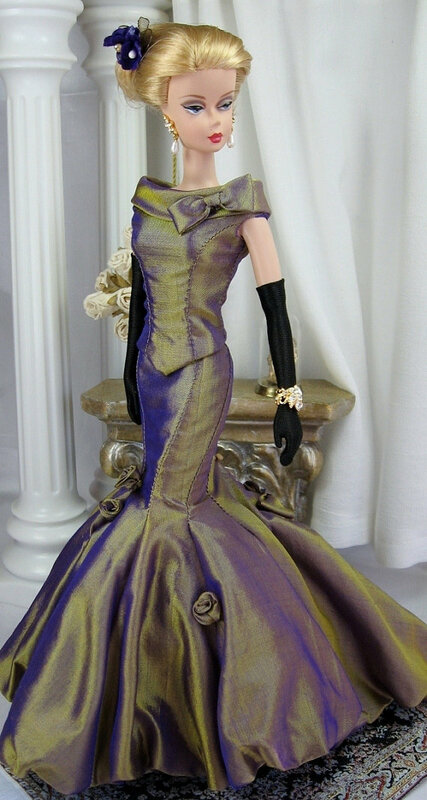 This romantic style sheath has a gather empire bodice, easy to make up and fit the dolls without alteration, although for my version I shortened the length by about 1/2″ and added a placket to one side of the back for snap closing giving it a sleeker look. A zipper would work great as well. I used a very fine fabric and fully lined this amazing dress, it is a perfect fit, I put a placket at the back on one side for the closure snaps, but a zipper would finish it nicely as well. 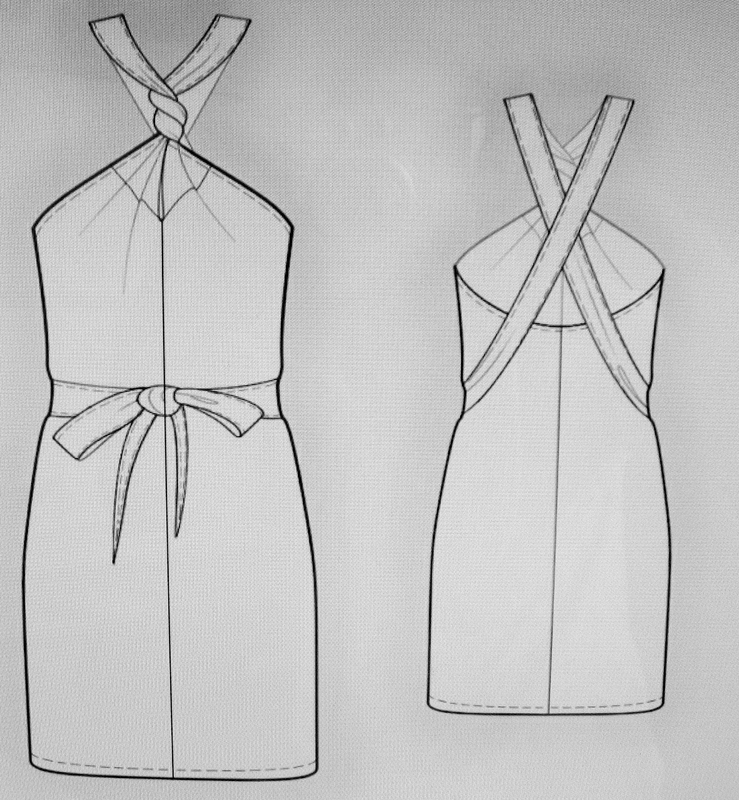 Lining is relatively easy with experience. 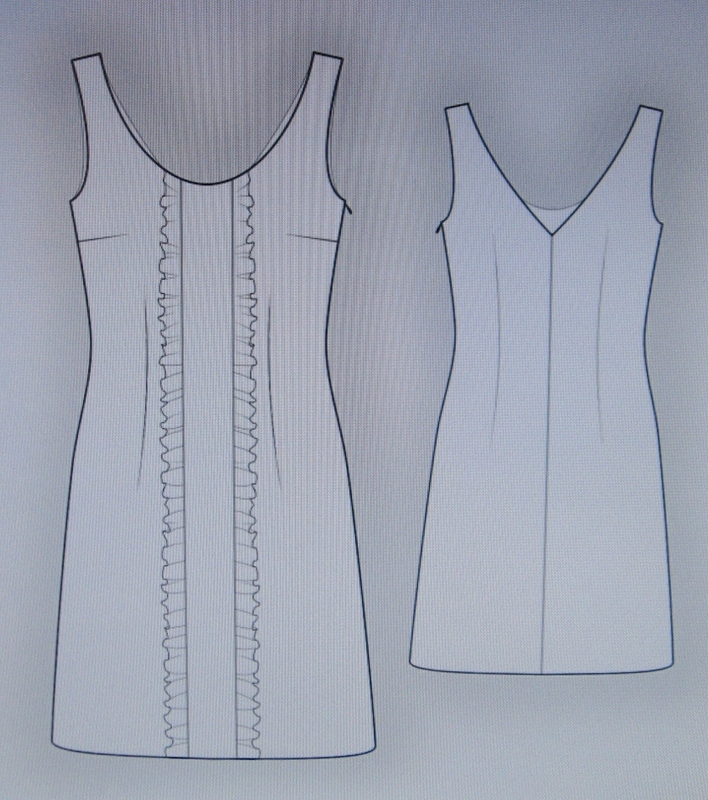 This pattern includes facing for the front and back bodice as well. Hi Brenda! Hope all is wonderful with you. Would you mind emailing me a pic of the red dress as well? For some reason I am not able to see it on my end as well. I’m sorry, I simply don’t see any pictures posted in the comments and I don’t see any red dresses except for the ‘yolk sheath’. Perhaps my computer simply isn’t showing it. 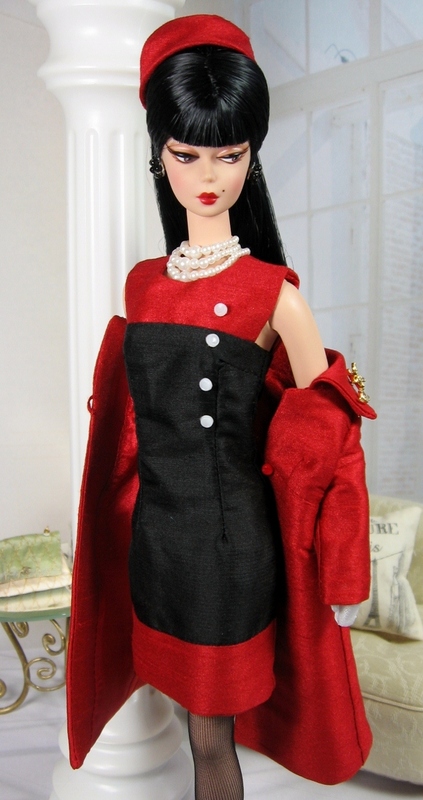 Do you have a picture posted of the red sheath pattern? 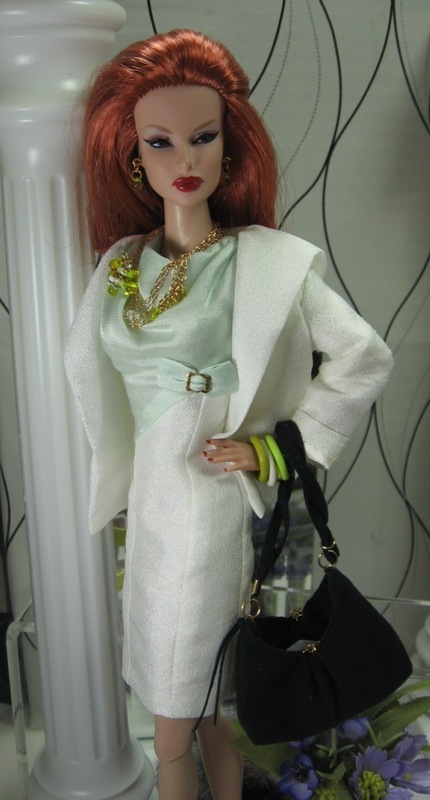 Thank you so much, I am glad you follow along with my work and hope that you are inspired to try your hand at sewing for the dolls. Happy Sewing! 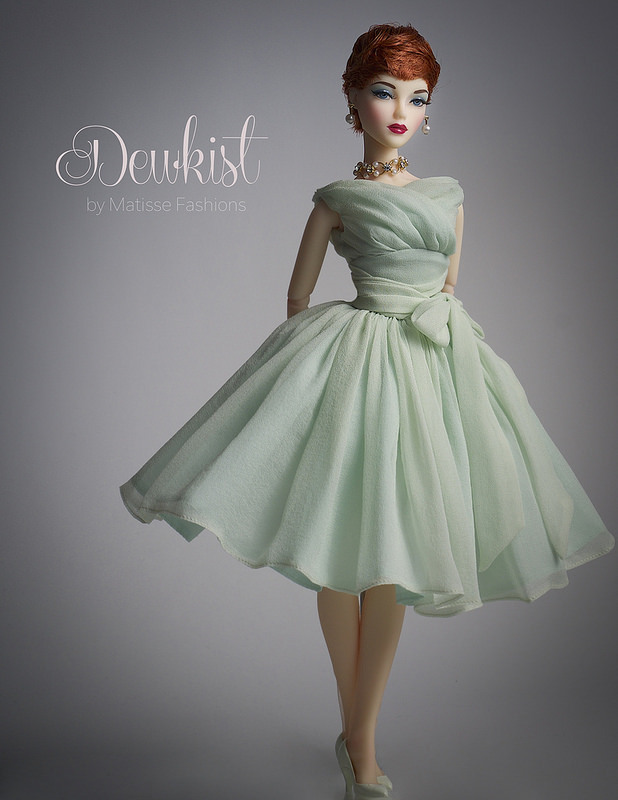 Oh my god, these doll dresses are so gorgeous! I wish they came in human sizes because I would sew and wear the heck out of every single one. You are extremely talented and I’m so impressed! 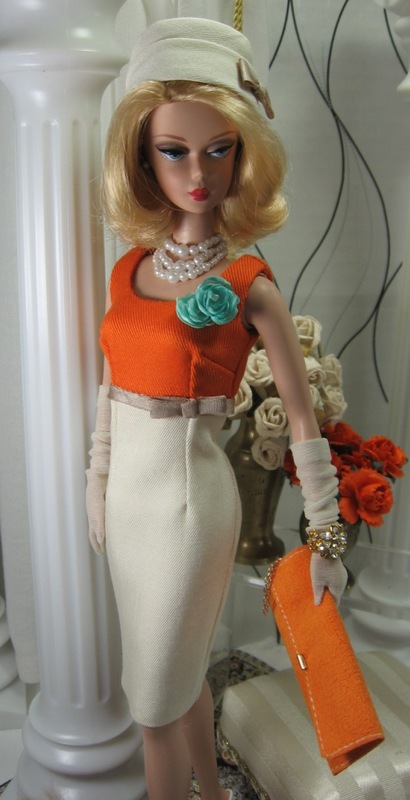 I’m going to have to ask my sister if my niece has a Barbie because I’m dying for an excuse to make these! *sigh* So gorgeous!! 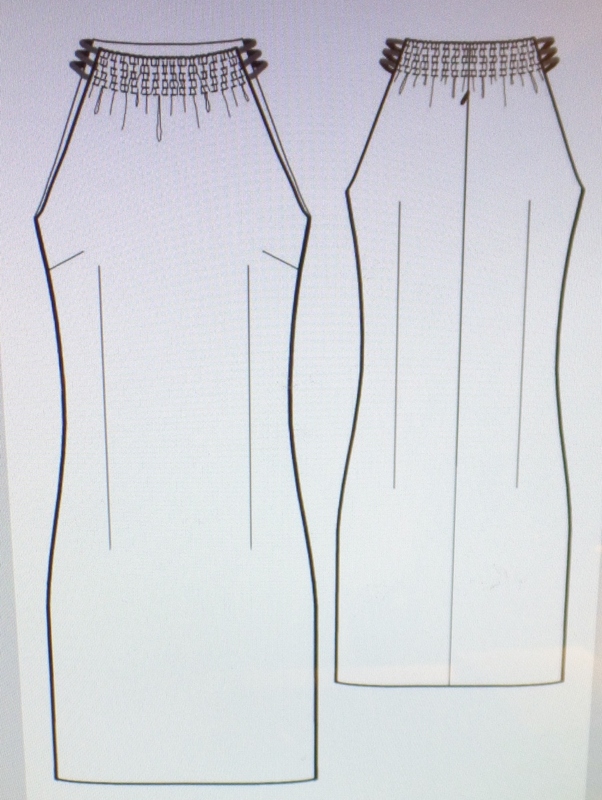 Does the Slouch Pocket dress have the cowl collar as shown in the photo? 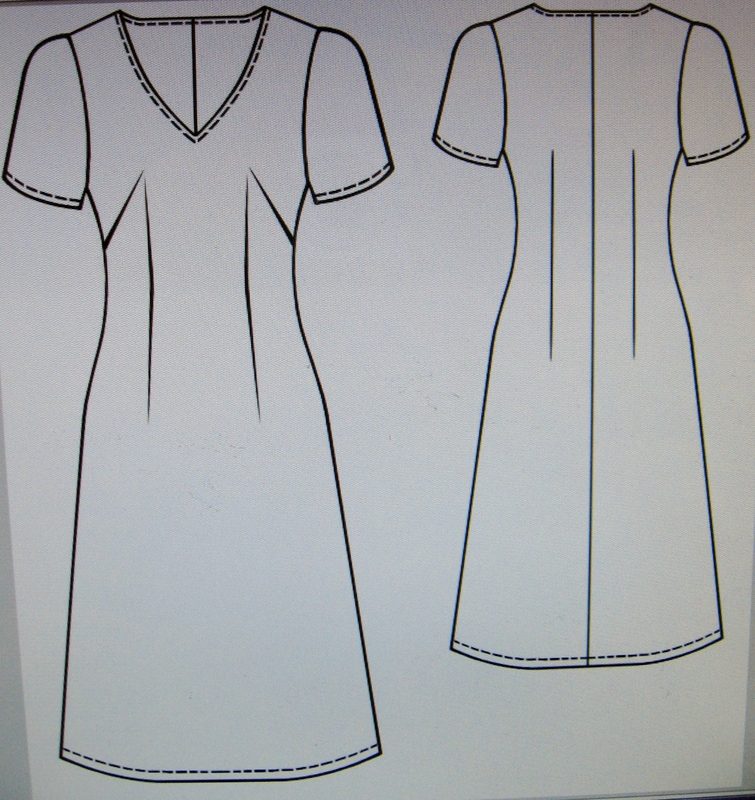 The basic outline of the dress doesn’t show the collar. 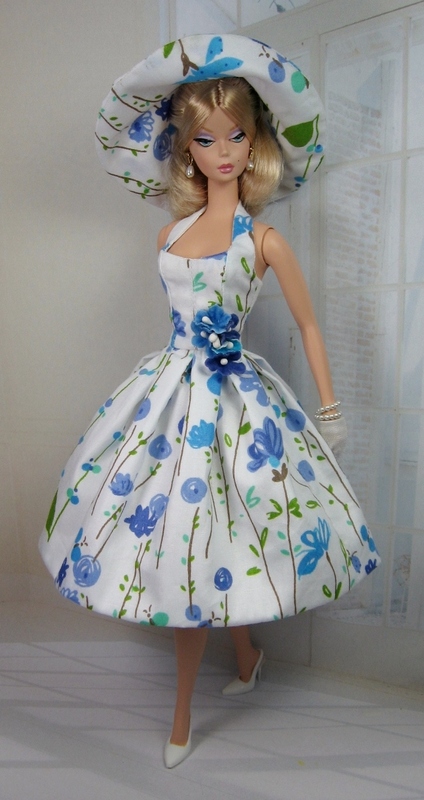 Hi, only the patterns catalogued across the top of the blog page are available for sale. 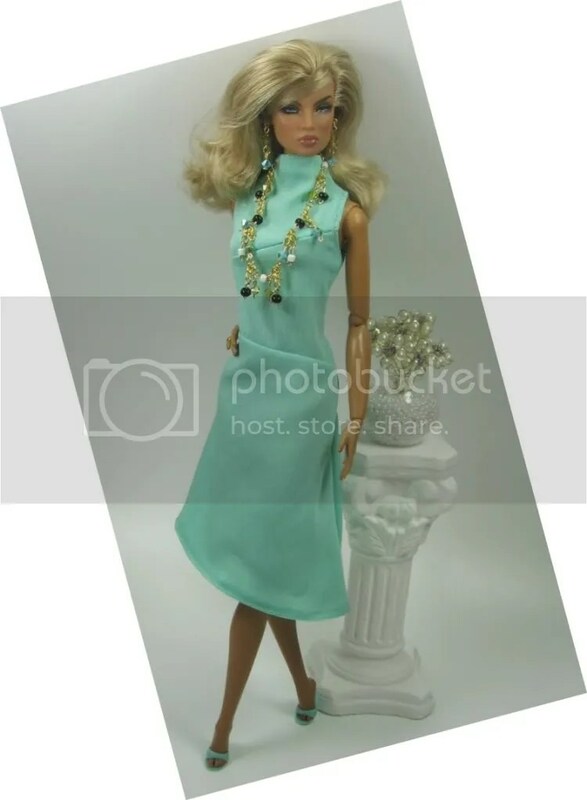 Anything else you see will be patterns I have used that aren’t mine, typical Barbie patterns, and anything recent are newly developed patterns that I have not made available for purchase as of yet. Are the patterns form the archives available? Hi, the patterns are listed across the top of the main page, thanks. I wish to get several patterns. I have reviewed your delightful collection. Will send you my list. Please tell me what is the cost of your patterns? Gosh! so in aww:P. I am a long time cardboard furniture and leftover fabric designer LOL. I have now decided after all these years to do something I love…please could you drop me some of the great fabric sites you must use? I got your site drooling over beautiful natural linens. I dont get out much to shop but I make up for it on the internet …smiles. 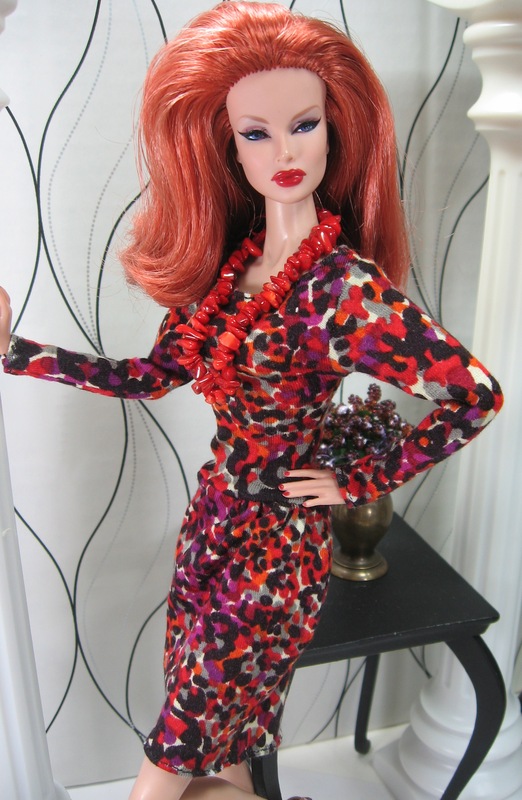 Anyhow, I have started full blast doing all barbie all the time! Bless you and yours. I’m sorry! I somehow didn’t see that I have to email you to receive the patterns. I thought they were just on your site for download. Now I know. Thanks! Sorry! 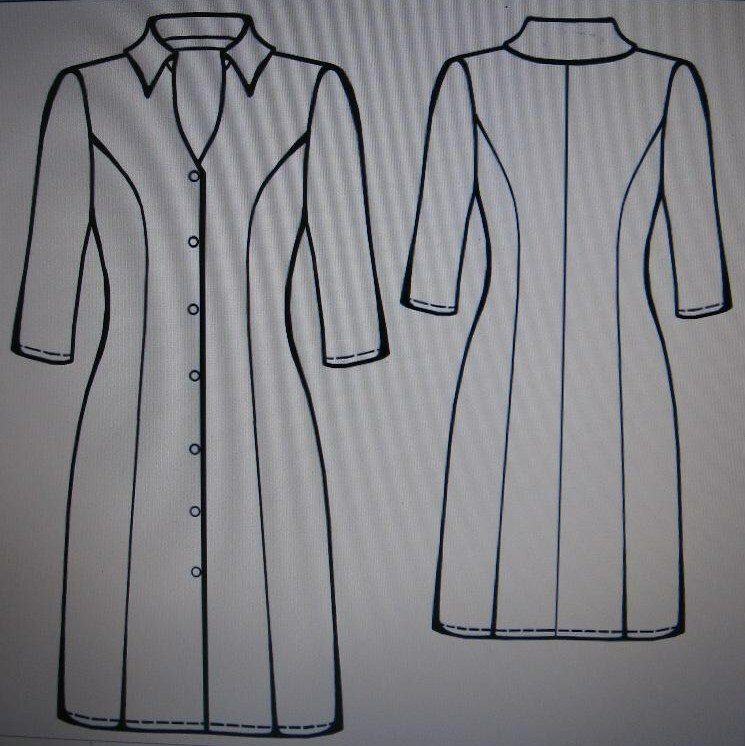 I would love to download your PDF patterns to give them a try but I can’t seem to figure out where they are to download? I tried to click the images in case they were files to save but that did not work. Where are the files for actual download? Look forward to trying them! Thanks! Lovely and nostalgiac. You are very talented. I gave you a spot in my latest post. It will be ;posted in about a half hour. I am putting on the finishing touches. Cant wait for you to try them as well. They are fun and you will be off and running in no time. Keep me posted. 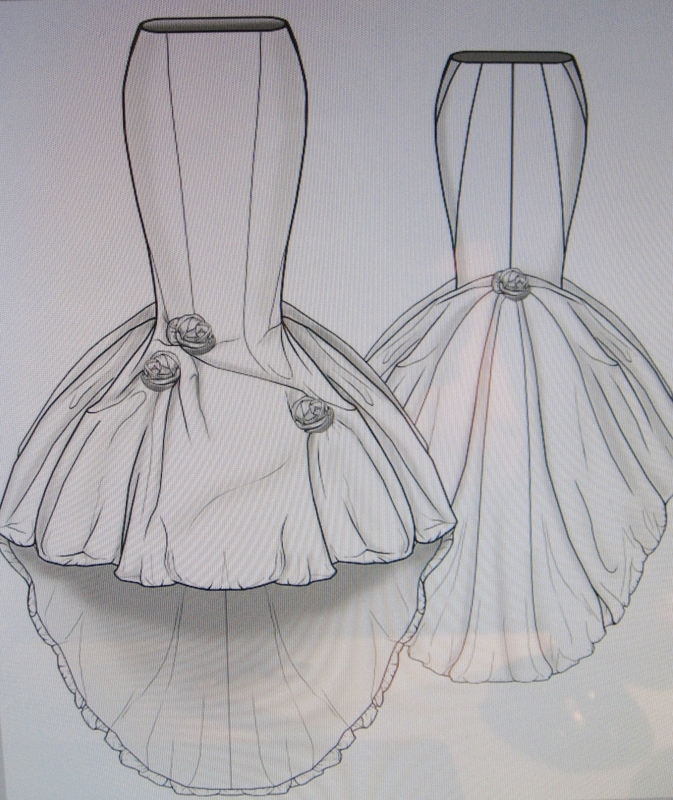 I love your designs cant wait till I receive my patterns.I want to learn how to sew these beautiful dresses. Simply gorgeous and beautiful designs. I cant wait to try out some of your patterns. 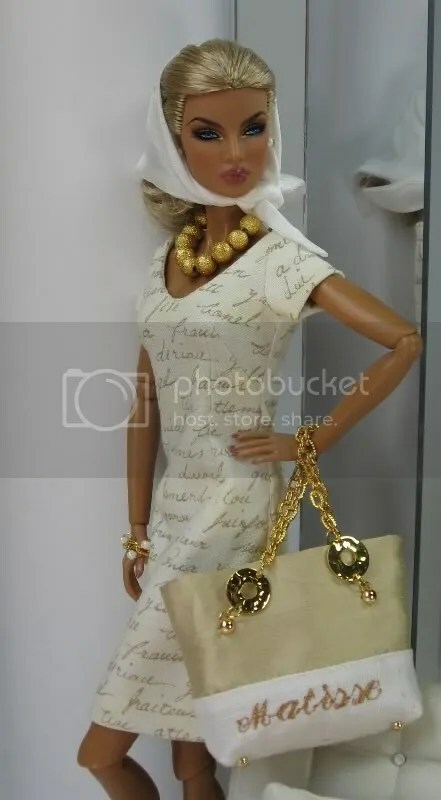 Hi, would like to purchase “Cowl jumpsuit only, $5.00us no instructions” as well. HI, thanks for emailing about the patterns. The Yoke sheath is a intermediate pattern I would say, but it really depends on your miniature sewing techniques, if you line the garment or just finish your edges etc…I would say if you leave it unlined it works up very easily. 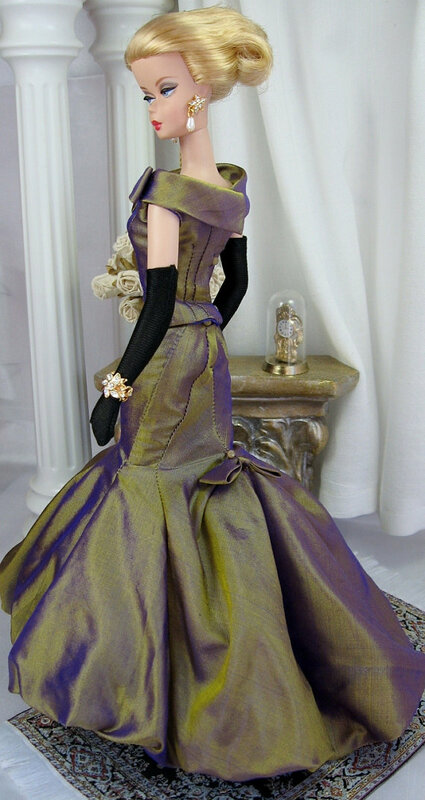 The experience is really for knowing some of the tricks of sewing in miniature for a more realistic final result. I usually offer the patterns 4 for 10.00 us and there are a few free downloads on my blog as well. 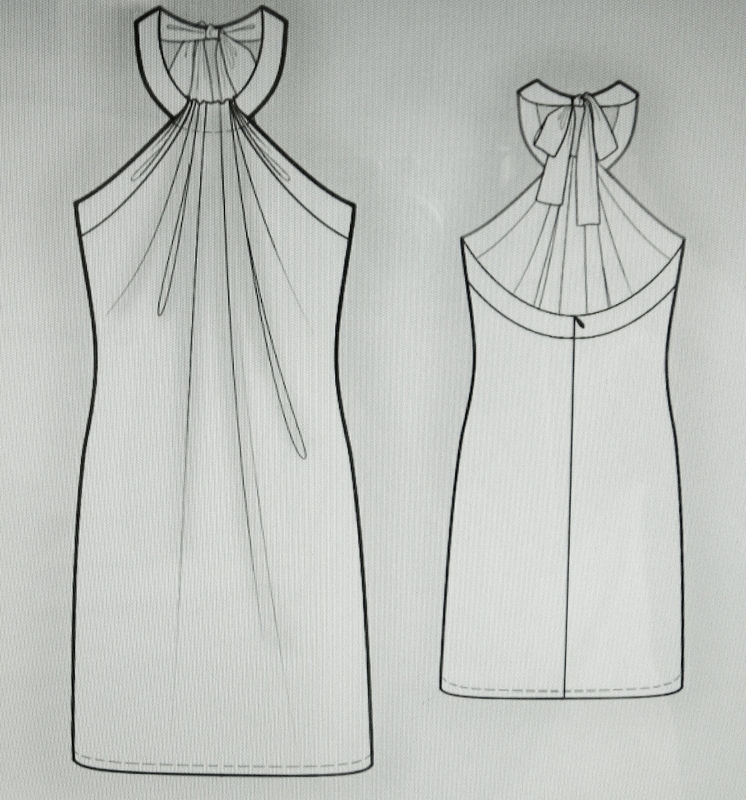 The Yoke Sheath has no instructions, the piece are straight forward and able to be laid out logically for cutting and sewing. 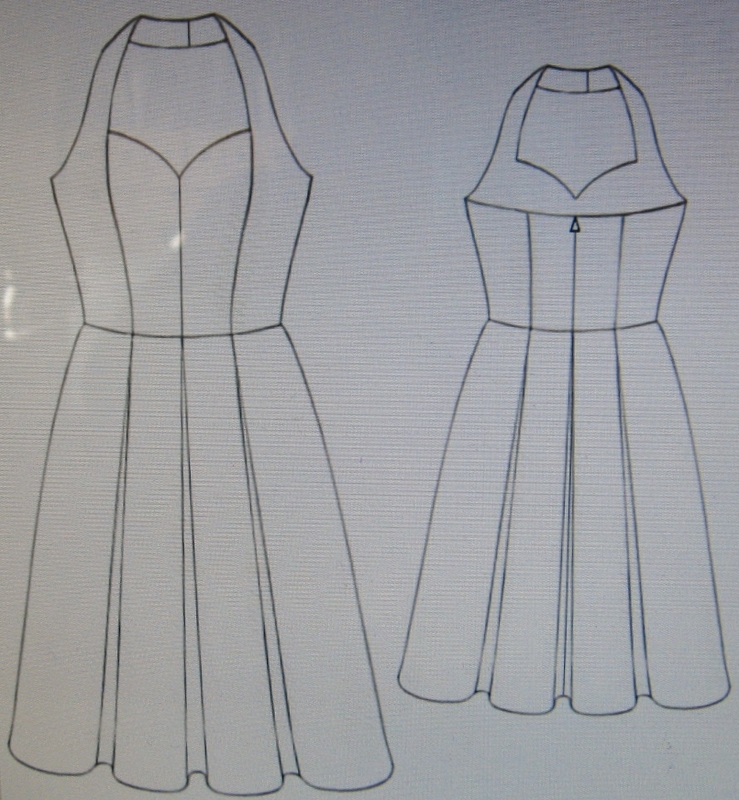 There is more info about the patterns on my blog, they don`t have seam or hem allowances and you would add this when you cut according to the type of 12 or 16 inch doll you are sewing for. I hope this help in making your decision and talk to you soon. I would like to purchase “Yoke Sheath only $5.00 no instructions” but I do not have any formal sewing knowledge other than the one you get at school. Do you patters with instructions that I can follow? Hi Terry, I am not sure which pattern you were referring to, I just found this in my comments sections, it was overlooked in my inbox, so sorry and let me know through my contact page if you still are interested. Thank you, I will be home to send that through to you, your total is 5.00 us, thanks again. 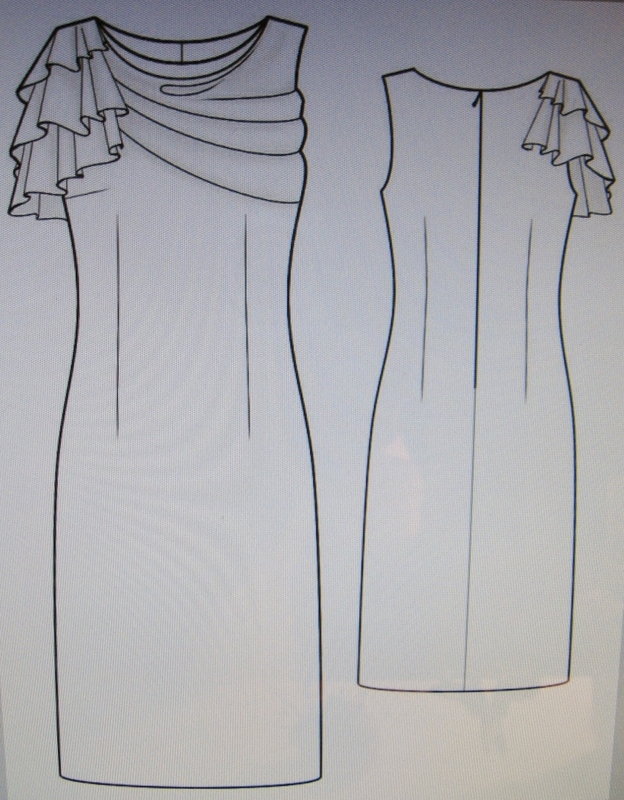 I really want the pattern for the dress that’s 7th from the bottom but it has no name. Does it come in 16″ size. In this year or next I am going to try my hand at this. Please Continue to Crreate you Beautiful Work!! !